Click here to read about more accomplishments across UF Health in On the Same Page, by David Guzick, M.D., Ph.D., senior vice president for health affairs at UF and president of UF Health. Executive Director: Todd E. Golde, M.D., Ph.D.
Deputy Director: Steven T. DeKosky, M.D. 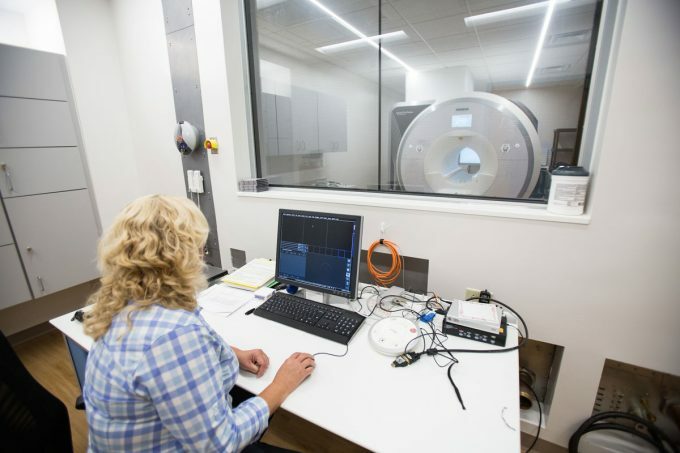 The Evelyn F. and William L. McKnight Brain Institute continues to thrive at the University of Florida, and we are proud of the role that the MBI has in neuromedicine and neuroscience research. As of January 2018, active neuroscience- and neuromedicine-based NIH funding totaled approximately $58 million per year, with more than 90 researchers receiving NIH funding. This figure represents almost a quarter of all NIH funding that UF receives. Not only is the research project grant (R01) base growing with 66 active R01s, but an increased number of both programmatic and training grants have been awarded to UF faculty. UF neuroscience investigators are PIs on five neuroscience-related training grants (T32), as well as three collaborative research grants (U01), a program project grant (P01), a single-component research award (OT2) and a P50 award. Our trainees and junior faculty are gaining federal funding, with five fellowship awards (F grants), 11 career development awards (K awards) and four research transition awards (R00). Grants from other federal agencies and private foundations also support UF neuroscience research. Two large, notable awards in 2017 came from the U.S. Defense Department under the Targeted Neuroplasticity Training program of the Defense Advanced Research Projects Agency, or DARPA. The first, a $4.2 million grant led by Kevin J. Otto, Ph.D., an associate professor in the J. Crayton Pruitt Family Department of Biomedical Engineering, will identify which neural pathways in the brain are involved in plasticity due to vagal nerve stimulation during learning. A second DARPA award, led by Karim Oweiss, Ph.D., a professor of electrical and computer engineering, biomedical engineering and neuroscience, seeks to determine effects of vagal nerve stimulation on cognitive-skill learning and the brain activity supporting those skills, as well as to optimize the stimulation parameters and training protocols for long-term retention of those skills. 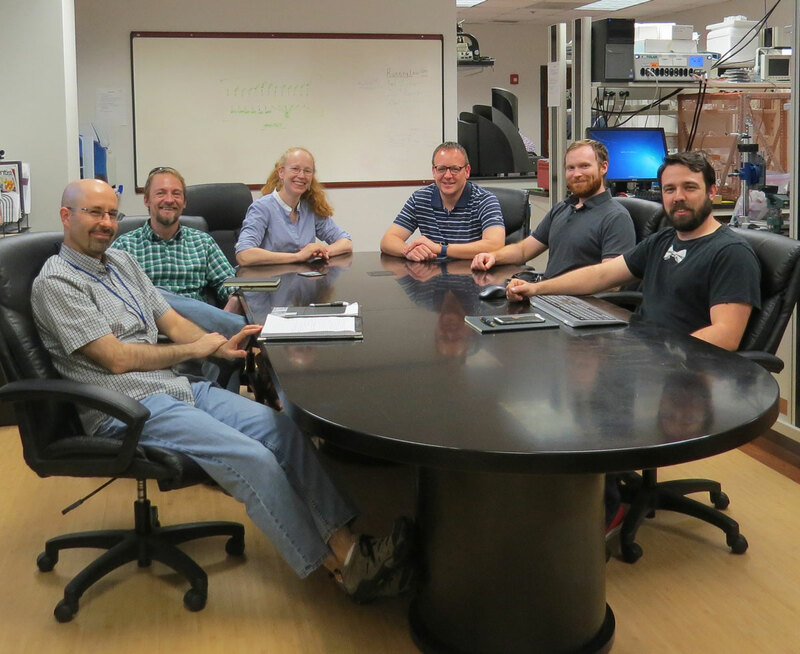 A group of MBI researchers led by Dr. Kevin Otto received a $4.2 million DARPA grant. Research in brain aging, neurodegeneration, neuromuscular pathophysiology, control of breathing, addiction, pain, gene therapy for central nervous system disorders, sensory physiology and neurooncology all have garnered national, and in many cases, international recognition. As the individual neuroscience and neuromedicine research programs mature, we are beginning to see more thematically oriented research, with more cross-disciplinary studies. This is leading to increasing numbers of larger multi-principal investigator R01 grants, P grants and U grants, as well as other large collaborative grants. In the spring of 2017, researchers were able to use the new 3T Siemens Prisma scanner for studies. The Adolescent Brain Cognitive Development, or ABCD, study, a large, NIH-funded, multi-institution longitudinal study. UF site leaders are Linda Cottler, Ph.D., M.P.H., chair of epidemiology, and Sara Jo Nixon, Ph.D., a professor of psychiatry and psychology. Multiple grants centered on imaging of movement disorders, including a large U01 grant led by David Vaillancourt, a professor of applied physiology and kinesiology. In addition, the MBI partly supported the purchase of a light sheet microscope, which was funded primarily by the DARPA award to Dr. Otto. New initiatives conceived by the larger MBI executive committee to help support educational and outreach activities are now underway. These activities are designed to further enhance neuroscience education, achieve greater diversity in training opportunities and promote our science both within and outside the university. All of these activities will enrich the McKnight Brain Research Foundation-supported programs. Further, we now have a dedicated science writer, Michelle Jaffee, and a new assistant director of communications, Todd Taylor, to help support these activities and publicize our work. This will include outreach via social media and other outlets. MBI Research Evenings are events organized thematically that include short presentations by UF neuroscientists, provide an opportunity to highlight research findings and promote collaborations among the UF neuroscience community. Trainee Enhancement Opportunities are similar to UF Faculty Enhancement Opportunities in that they will allow research fellows, clinical fellows and graduate students to diversify their skill sets by attending courses, learning new techniques or exploring new aspects of neuroscience not available in their home labs. Toffler Leadership Awards fund neuroscience research, education and leadership pursuits by graduate and professional students enrolled in Ph.D., M.D. and M.D./Ph.D. combined programs. Our Summer Neuroscience Internship Program, or SNIP, has already trained two dozen undergraduates, including many underrepresented minority students (approximately 60 percent). This program is led by Dr. Lewis and Sara Burke, Ph.D., an assistant professor of neuroscience. Our Research Fellowship Program provides pilot funds to trainees and junior scientists, with the goal of stimulating their growth. MBI Travel Awards assist UF neuroscientists lacking sufficient resources to present their research at national and international conferences. The MBI Neuromedicine Scholars Program, led by Dr. Gordon Mitchell, will bring current and rising stars in the international neuroscientist community to UF. These visits will raise the profile of UF neuroscience and create new opportunities for trainee and community engagement. Our overall vision for the MBI is to support neuroscience and neuromedicine research across the campus, but to do so in a programmatic way. Our education and outreach efforts are reflective of this vision. Such activities support the entire UF neuroscience community and provide visibility for our individual research programs and neuroscience research centers. As we launch other initiatives, we hope to provide additional infrastructure and resources to support our outstanding thematic science. Numerous neuroscience-related research centers are flourishing and have developed their own unique identity. Established centers are getting more funding, and programmatic grants are being renewed (i.e., Laura Ranum, Ph.D., director of the UF Center for NeuroGenetics, and Maury Swanson, Ph.D., associate director of the UF Center of NeuroGenetics, renewed a P01 grant related to the central nervous system effects of myotonic dystrophy). Newer centers such as the Center for Respiratory Research and Rehabilitation, or CRRR, led by Dr. Gordon Mitchell, are also making great headway. The CRRR provided key support for a large grant from the office of the NIH director to map peripheral and central circuits for airway protection and breathing to Donald Bolser, Ph.D., a professor of physiologic sciences, to study functional mapping of peripheral and central circuits for airway protection and breathing. We are currently in the early phases of a strategic planning process based on programmatic initiatives. These individual plans will then be synthesized into a larger MBI strategic plan that will provide a road map for the neuroscience community, and hopefully enable us to identify and then fill gaps in expertise, infrastructure or core services. Neuroscience at UF is on a remarkable trajectory and we plan to continue its rise. These are exciting times for our science and discovery in neuroscience, and our team approach is paying off.